"Promotes Regularity" A diet rich in fiber, plenty of liquids, and regular exercise all contribute to regularity. For occasional periods of irregularity, gentle Herb-Lax can help. 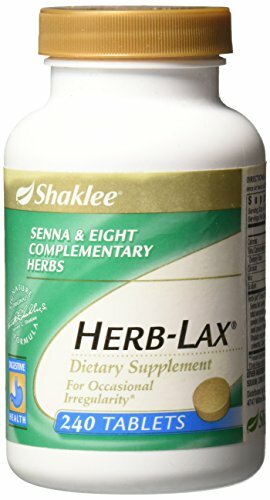 * An original Dr. Shaklee formula, Herb-Lax contains an enhanced prioprientary blend, including Senna leaf, which has been used for thousands of years as a natural laxative, plus other complementary herbs. If you have any questions about this product by Shaklee, contact us by completing and submitting the form below. If you are looking for a specif part number, please include it with your message.